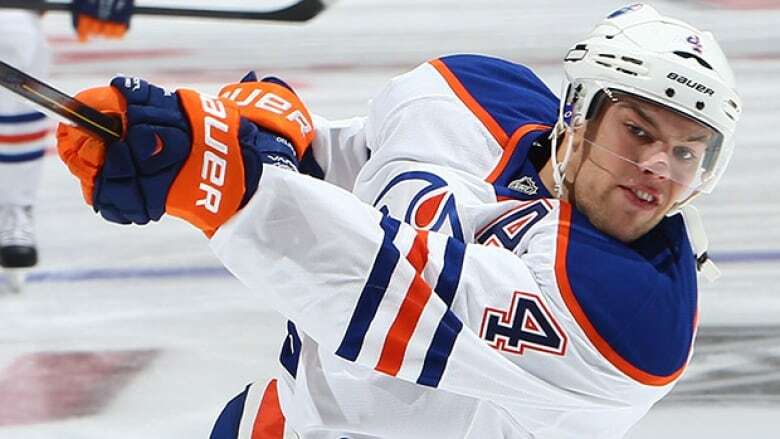 A young, talented roster will need to find a two-way game to get the Edmonton Oilers back to the playoffs for the first time since the team's run to the Stanley Cup final in 2006. This is part of our series of quick season previews for the seven Canadian-based NHL teams. We've also covered the Vancouver Canucks, Calgary Flames, Winnipeg Jets and Toronto Maple Leafs. Last season's record: 29-44-9 (67 points), 7th out of 7 in Pacific Division, missed playoffs. Last season's story: New coach Dallas Eakins got the same old results from this tantalizing-but-frustrating young roster as the Oilers missed the playoffs for the eighth season in a row. Edmonton put itself behind the eight-ball with a horrid 4-15-2 start en route to surrendering the most goals in the league. Despite a career-best 80-point year by former first-overall pick Taylor Hall, the offence wasn't much better, finishing 25th in goals as the Oilers struggled with puck possession. They also seemed adrift at times, as Eakins clashed with Hall (the water-bottle incident) and the maddening Nail Yakupov. Franchise icon Ryan Smyth retired after the season. Key off-season additions: F Benoit Pouliot, F Teddy Purcell, D Nikita Nikitin, D Mark Fayne, D Keith Aulie. Key off-season subtractions: F Ryan Smyth, F Sam Gagner, F Ryan Jones, D Anton Belov, D Mark Fraser. Best-case scenario:Ben Scrivens and Viktor Fasth form an effective goalie tandem in their first full season together; GM Craig MacTavish's changes to the defence help while young Justin Schultz shows he can anchor a blue-line; and the Oilers' goal prevention improves from porous to passable. Meanwhile, fifth-year forward Hall puts up even bigger numbers and proves his early-career injury issues are behind him; Ryan Nugent-Hopkins and Jordan Eberle blossom into stars; Yakupov buys into a two-way game; and the Oilers make the playoffs for the first time since their run to the Cup final in 2006. Worst-case scenario: The advice of new analytics hire Tyler Dellow is ignored by the old-school MacTavish as the Oilers' possession struggles continue and a weak defence makes life miserable for Scrivens and Fasth. Hall is unable to stay on the ice; Yakupov is traded for peanuts after another clash with the coaching staff; Edmonton misses the playoffs again and provincial rival Calgary lands phenom Connor McDavid in the draft lottery.